The art of crafting beautiful string and bead creations is explained in this step-by-step guide for novice beaders. 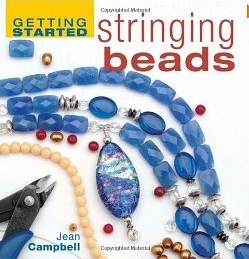 Everything the beginner needs to know, including information on selecting the appropriate beads at the store and a complete guide to basic stringing materials are provided, along with pointers on securing beading wires with crimps, tying knots, and working with findings. 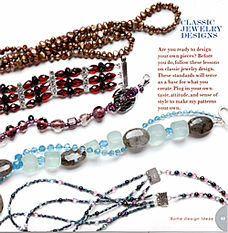 Twenty-five quick and simple projects will help build foundational technical skills and result in exciting bead creations such as charm bracelets and chandelier earrings. This resource guide gives readers the skills to create their own pieces.